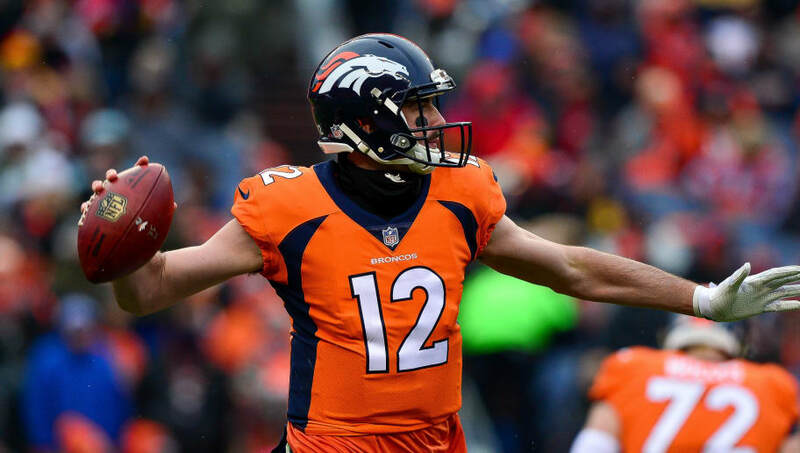 After trading up into the first round of the 2016 NFL draft to select Paxton Lynch, he's been anything but what the Denver Broncos have hoped for. Through two seasons, the young quarterback has shown more signs of being a bust than a potential franchise signal-caller. With his future uncertain, general manager John Elway and head coach Vance Joseph have expressed their support for Lynch. Given the chance to sit behind a veteran in Case Keenum for at least one season, this is a situation Lynch should absolutely take advantage of. Keenum has also been through similar struggles. As an undrafted rookie coming out of Houston in 2012, he had to wait for his turn. Through the struggles between the Texans and Rams, Keenum finally got his chance with the Vikings last season and flourished. That in return earned him a two-year, $36 million contract with the Broncos. Lynch doesn't have the pressure on him now. He's provided the opportunity to hone his skills behind a veteran and learn the ropes of being a starting quarterback. So if that opportunity arises down the road, Lynch can step in and show he's capable of winning games at the NFL level. For now, there are too many question marks to count surrounding his ability. The Broncos are hoping Lynch comes around soon before it's ultimately too late.